A pioneer of the marine renewables with a presence in 22 countries across the world, Natural Power is a leading expert in consultancy, auditing, and project management in the sector. The group is proudly innovative, and has just announced its latest aerial drone designed for wind farm inspection, the Trimble UX5. In a sector first, the drone overflew a site measuring five square kilometers in only one day, gathering vital 3D topographical data and high definition aerial imaging. The Scottish group has also just launched its innovative project management software, Portal, which has been specially conceived to address the needs of the marine renewable sector. Intuitive and straightforward to use, this monitoring and decision-support tool is based on analysis of big data, backed by 20 years of professional experience. Although it has had a branch office in the Pays de la Loire since 2010, Natural Power France recently decided to regroup its head office from Strasbourg to Nantes. The decision was partly motivated by Nantes’ high quality lifestyle, which eases recruitment of talented staff, but above all because the sector is burgeoning in the region. Natural Power has already provided significant input to the Saint-Nazaire wind farm in Loire-Atlantique, as well as those planned for the Île d’Yeu and Noirmoutier in the Vendée. 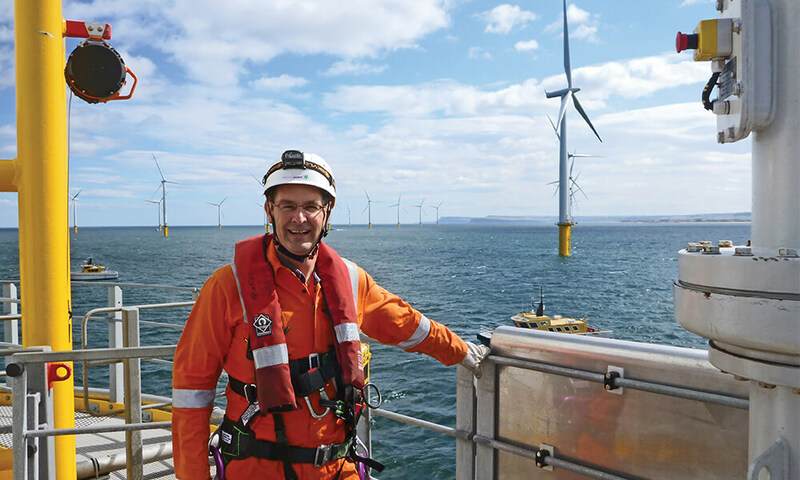 Natural Power’s workforce is expected to double in the coming three years, and the decision to concentrate their expertise in the Pays de la Loire is a considerable boost for the marine renewables engineering sector locally. The news comes amidst of a welter of announcements in the sector: Bureau Veritas (a world leader in compliance and certification), has just bought out Hydrocean, Mojo Maritime’s first international subsidiary will be based in Nantes, Météodyn and Steadysun have just signed a new deal that will expand the range of services they offer, not to mention the opening of Technocampus Ocean.